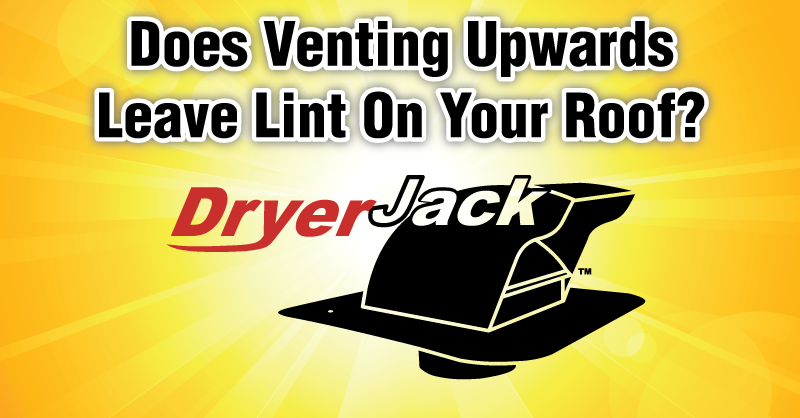 One of the most common questions about DryerJack is "won't this leave lint on your roof?" While it is a valid concern, venting through the roof is not most people's choice. Sometimes it is their only option. Just like venting through the wall of a home, venting to the outside does not dump a pile of lint all at once. The lint filter on your dryer has captured most of the lint. What escapes is a minute amount of lint that has managed to pass through the duct work. So, with one load of laundry, you shouldn't see any lint left on your roof. In areas that have precipitation, rain will most likely wash away the tiny amount of lint on the roof. Wind is also a factor that will assist in disposing of the residue. Just like the lint escaping from the side of the home. Do you see clumps of lint in your grass? No. Nature provides a way for the tiny particles of lint to wash away, and not clump up.